At 8:45 a.m. Sunday, the ED tweeted, “Education must not simply teach work — it must teach life.” –W.E.B. DeBois, according to Politico. The misspelled tweets came at an inopportune time — during Black History Month and also during the first week in office for Education Secretary Betsy DuVos, who was confirmed Tuesday during the closest vote in Senate history. DuVos gained approval by a 51-50 margin, with Vice President Mike Pence casting the tie-breaking vote in the evenly split Senate. DeVos was a controversial pick by President Donald Trump, prompting protests and criticism by teachers unions, Democrats, civil rights groups and parents. In fact, two Republican senators, Lisa Murkowski of Alaska and Susan Collins of Maine, voted with the Democrats against her confirmation. Du Bois (1868-1963) was an important scholar, author and civil rights activist. 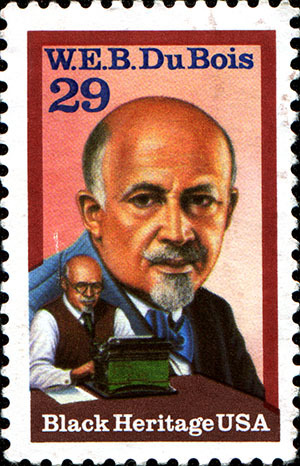 He wrote “The Souls of Black Folk,” an influential collection of 14 essays about African Americans after the Civil War. He was the first African American to earn a Ph.D. from Harvard University, and was a co-founder of the NAACP.